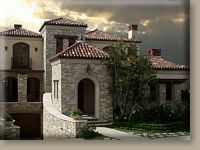 Lompoc Stone graces the hills of the Wine Country on the central coast of California. 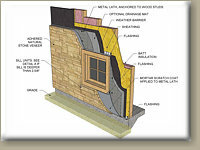 Our product comes directly from the Earth, and we care about our natural resources. We are driven to share that passion by helping you to develop projects that are memorable, sustainable and can help you achieve high green building ratings. Most of California, and much of Neveda and Arizona, are within 500 miles of the Lompoc Stone quarry. Specifying Lompoc Stone products for your next project will provide you with locally-sourced materials. Lompoc Stone is a natural stone with a potential life cycle measured in centuries. After all, the pyramids and the Great Wall of China are made of natural stone! The Lompoc Stone quarry follows a comprehensive on-site land reclamation and water conservation plan. Our expertise, equipment and passion for our unique product makes us distinctively different. 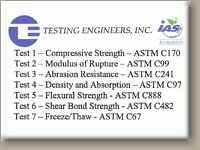 ASTM test results, an Installation Guide, our Coverage Chart and even consumer brochures are linked below. 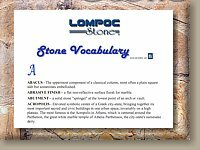 We will work with you to identify, design, document, quote and supply the Lompoc Stone product that is best for your project. Please Contact Us for more information.